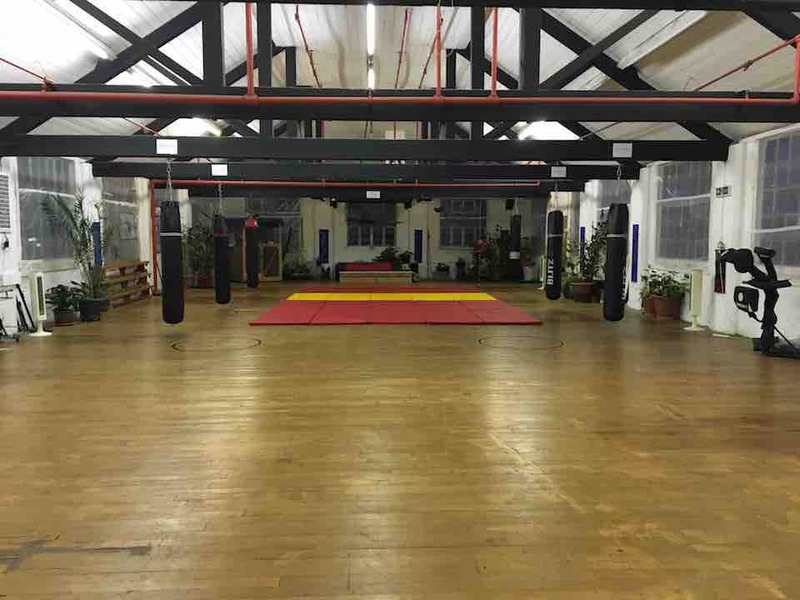 We teach traditional aikido and are affiliated to the United Kingdom Aikikai (UKA) through the Ren Shin Kan house. Leicester Aikikai ( レスター 合気会 ) is part of the Joint Aikikai Council (JAC); all our kyu grades are recognised nationally and the dan grades internationally. 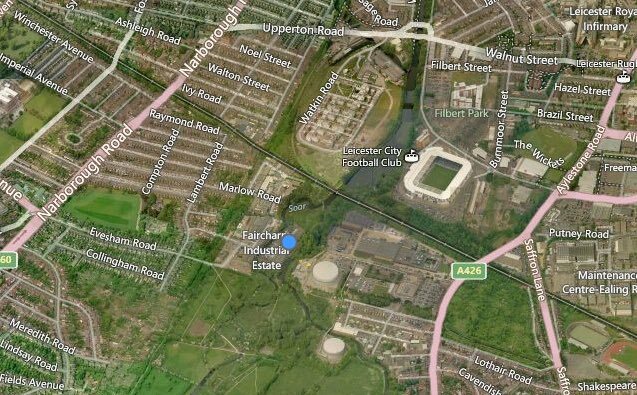 Faircharm Trading Estate in Leicester, off Narborough Road. 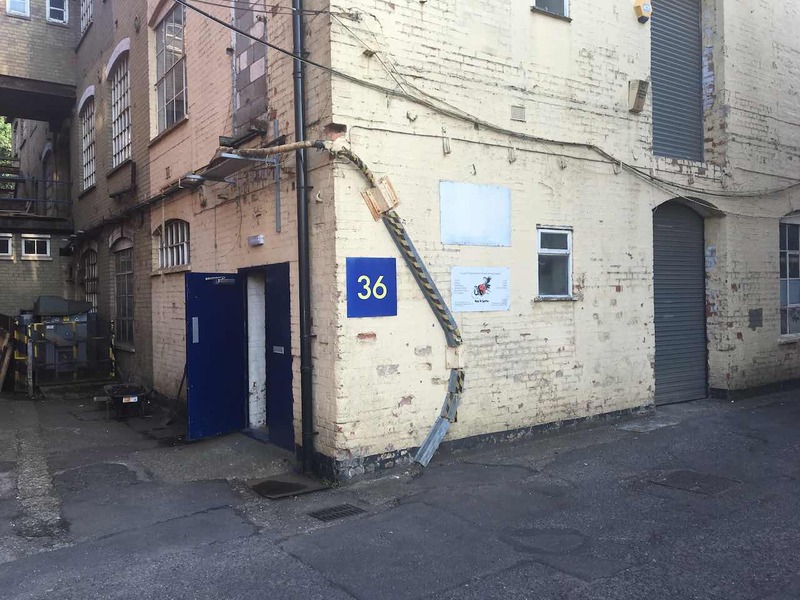 There is plenty of parking just outside Unit 36. Go through the blue door and follow the stairs all the way to the top. Beginners are always welcome to Leicester Aikikai and can try a class for free. Antonios Pavlakis holds a third degree black belt - 3rd dan - (sandan so-Hombu Fukushidoin 副指導員) and is the chief instructor in the Leicester Aikikai dojo. He started aikido in 1997 at the De Montfort University Aikido Club in Leicester under the instruction of Dave Lenton sensei (4th dan). He gets regular tuition from Philip Smith shihan (7th dan) from Ren Shin Kan dojo. 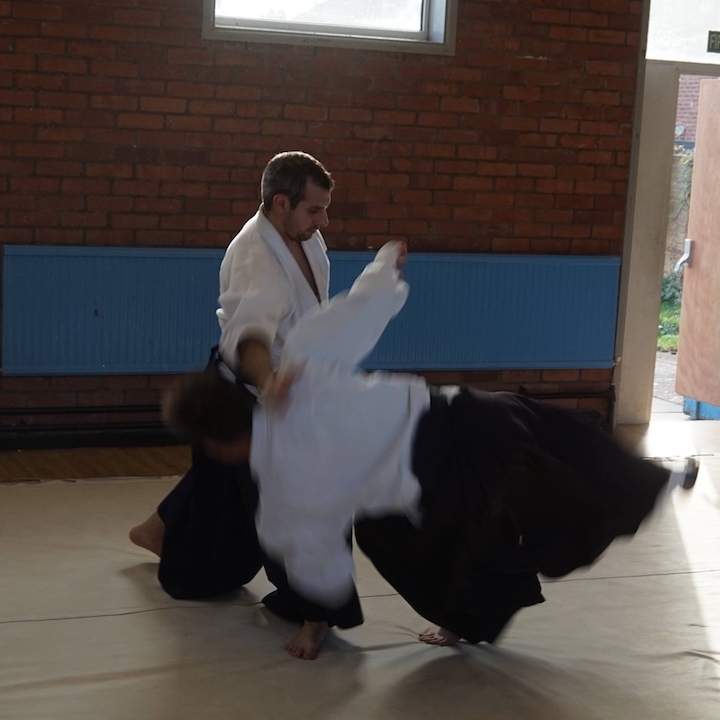 He also practices with other aikikai organisations including Mei Jyu Kan from British Birankai (BB) and Leicester Aikido from the British Aikido Federation (BAF). Adoni often travels both nationally and internationally to attend aikido classes and over the years has practiced with N. Tamura shihan, T.K. Chiba shihan, J. C. Aegerter shihan, C. Tissier shihan, Ian Grubb shidoin, Y. Kobayashi shihan, E. Katsurada shihan as well as the present Doshu and Hombu Dojo-Cho. As a qualified instructor, he has a Sports England teaching qualification (Coaching Level 2 - CL2) and a First Aid. Marketa Pavlakis started aikido in the Aikido LOKO Trutnov club as part of Czech Federation of Aikido in 2000 under the instruction of Roman Stoklasa (4th Dan). After a break, she continued with her practice in the UK. Today she practices in Leicester Aikikai dojo and Ren Shin Kan dojo (both UKA) and also in Mei Jyu Kan (BB). In 2014 she was awarded 1st Kyu and started her preparation for her Shodan which, however, was postponed due to a pleasant responsibility of becoming a mum. 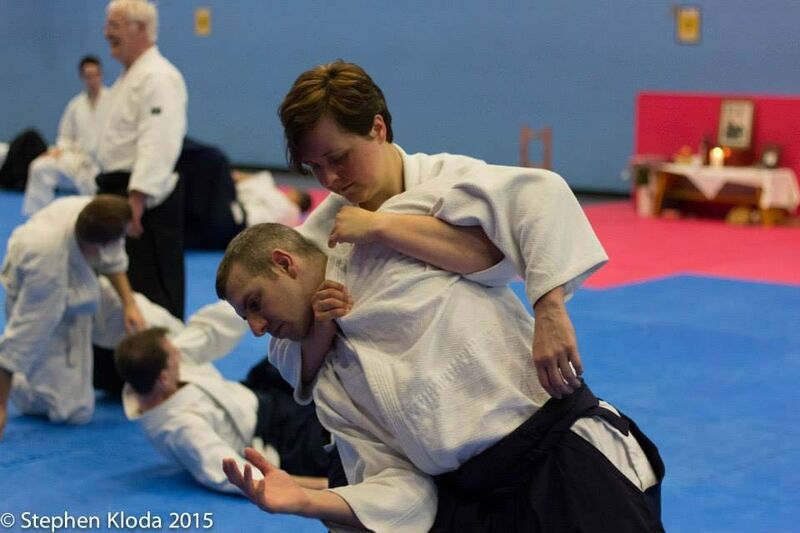 Nevertheless, in 2016 she received her teaching qualifications and became an assistant instructor in Leicester Aikikai. As a qualified instructor, she has a Sports England teaching qualification (Coaching Level 1 - CL1) and a First Aid. Just come along to one of our classes. The first class is free! Wear some loose fitting exercise clothes (not shorts as you spend time kneeling). If you join the club it would be good to get a keikogi (also referred to as 'gi'). These are the same as judo or karate white uniforms. 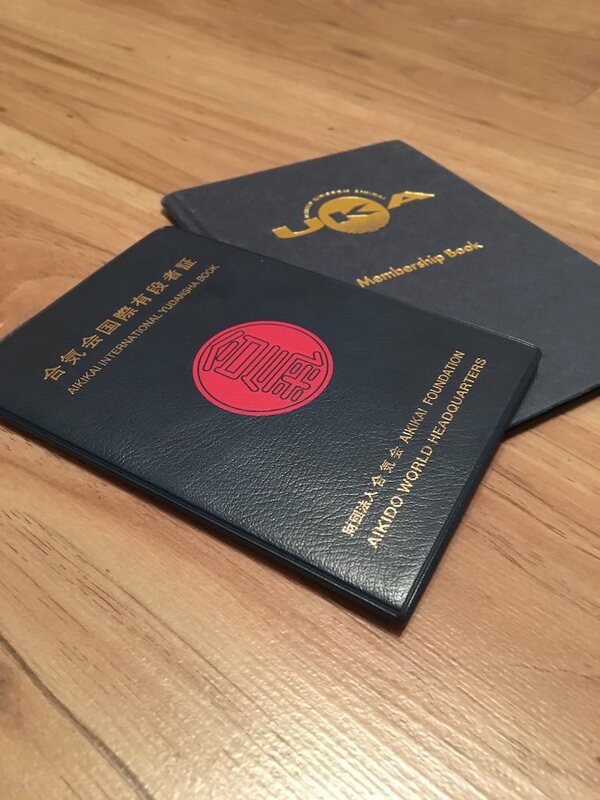 They cost around £20 and you can get them from any martial arts shop. Yes you are! The number one reason people state they will 'come later' is to improve fitness. We work with anyone, at any level of fitness and you can improve fitness and flexibility while learning aikido.